Exciting news! Well Darren and I think so! 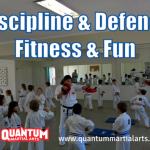 Quantum Martial Arts has developed two mottoes – one for the senior school and one for the junior school. Mottoes can be considered to be like a tagline in a film – describing in a brief phrase what the film is about. 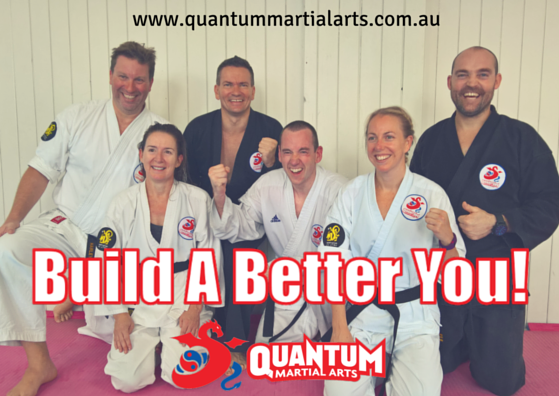 Our Sensei’s motto at Northstar Martial Arts is “Training your body, mind and spirit”. 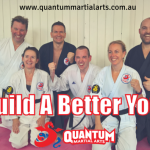 One of our associated schools Keystone Martial Arts has “Realise your potential”. “Discipline & Defence. Fitness & Fun” for the children/junior students. Some of you may have noticed our ‘quiet launch’ of the adult motto in some of our posts and on the banner of the QMA website. Let us know what you think of the new mottoes, either in the comment section below or on our Facebook page!